BOB STANLEY AND PETE WIGGS PRESENT ENGLISH WEATHER. Last year, Bob Stanley and Pete Wiggs were responsible for one of the best compilations of 2016, Saint Etienne Presents Songs For The Carnegie Deli. It featured twenty-four songs that Bob Stanley thought might, at one time, have provided a backdrop to life in a New York diner. This eclectic compilation was released to critical acclaim and found its way onto the lists of best compilations of 2016. With the ink hardly dry on these lists, it was announced that Bob Stanley and Pete Wiggs were about to return with a new compilation. 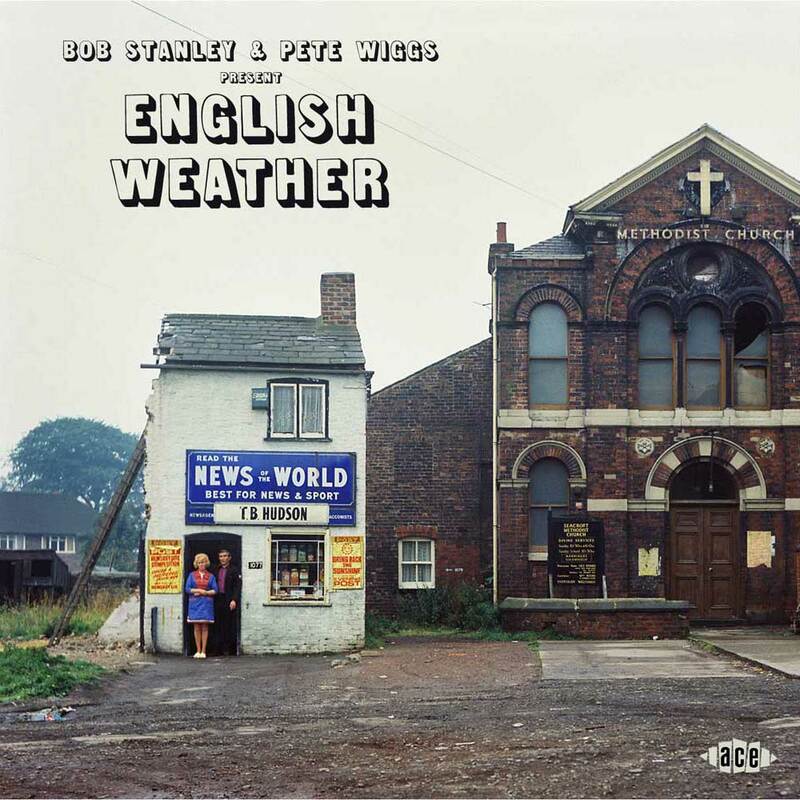 The compilation in question was Bob Stanley and Pete Wiggs Present English Weather. It was released by Ace Records and features eighteen tracks that were released between 1969 and 1976. These tracks bring back memories for Bob Stanley. Especially of the weather, as he grew up in Newcastle. Bob Stanley remembers damp, dank, grey and overcast days. It was always cold and wet. However, these days were perfect for spending time in record shops, discovering the music that was being released during what was a golden age musically. Some of that music features on Bob Stanley and Pete Wiggs Present English Weather. Just like Saint Etienne Presents Songs For The Carnegie Deli, Bob Stanley and Pete Wiggs Present English Weather is another eclectic compilation. There’s music from the Canterbury Scene, folk, library music, pop, progressive rock and rock. This comes courtesy of Caravan, The Roger Webb Sound, Orange Bicycle, T2, Van Der Graaf Generator, John Cale, Camel, Daevid Allen, Matching Mole and Prelude. These are just some of the tracks on another captivating compilation from Bob Stanley and Pete Wiggs. Opening Bob Stanley and Pete Wiggs Present English Weather is Caravan’s Love Song With A Flute. 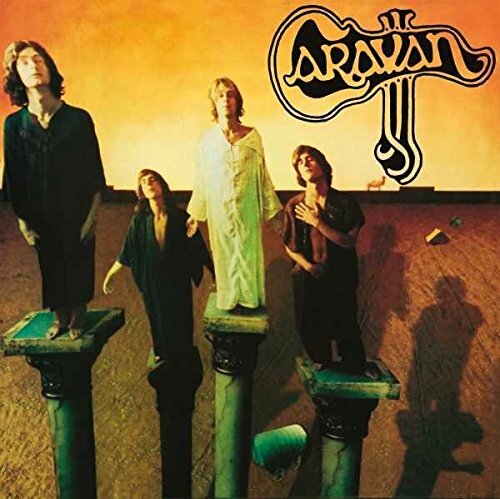 It’s a track from Caravan’s 1969 eponymous debut album. It was released by Verve Forecast, but failed to find an audience. That is despite songs of the quality of Love Song With A Flute. It’s a beautiful folk-tinged ballad from progressive rockers Caravan. They would eventually go on to become one of the leading lights of the Canterbury Scene. The sixties and seventies proved to be the golden age of library music. It was usually recorded by groups of anonymous musicians. Some of these musicians went on to bigger and better things. They saw recording albums of library music as part of their musical apprenticeship. The music they recorded often became the theme tune to television programs or part of the soundtrack to films. That was the case with The Roger Webb Sound, who released two albums of library music on the De Wolfe label. during 1971. This included Vocal Patterns, which features Moon Bird. Its atmospheric and cinematic sound transports the listener back to the seventies, when library music provided the soundtrack to many famous television programs. 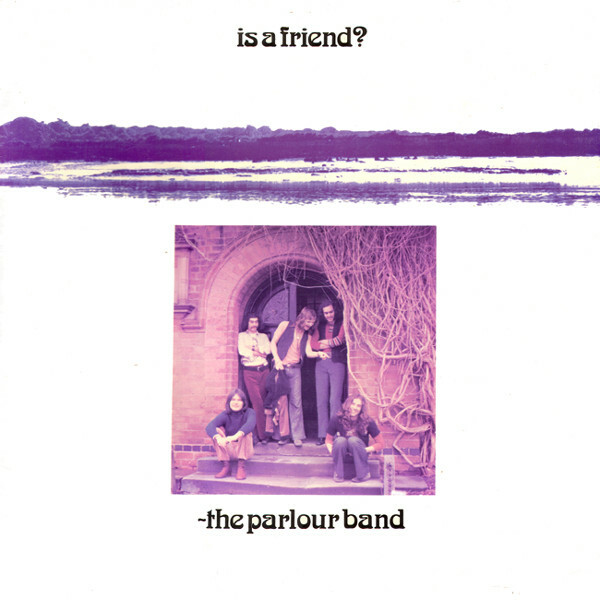 In December 1971, The Parlour Band made the journey from Jersey to the mainland to record their debut album Is A Friend? This genre-melting album was released in 1972, but wasn’t a commercial success. Sadly, this was the only album The Parlour Band released. Is A Friend? is now real rarity, that’s much in demand among record collectors. One of the album’s highlights was Early Morning Eyes. It’s a melodic fusion of the West Coast sound and progressive rock. 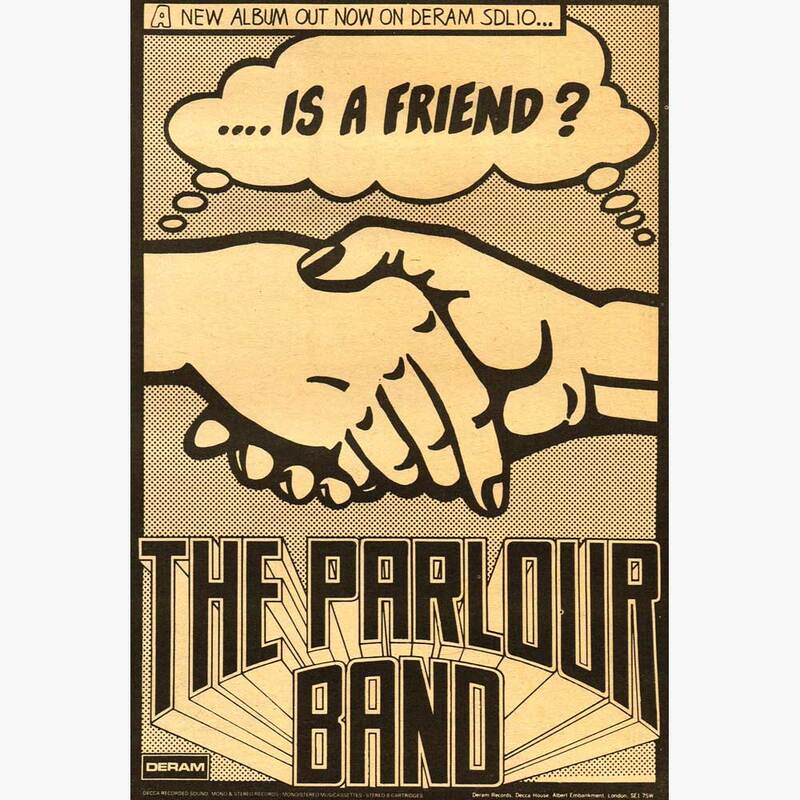 This is a reminder of a band who should’ve reached greater heights, The Parlour Band. Nowadays, T2 are remembered as a talented and hard rocking trio. 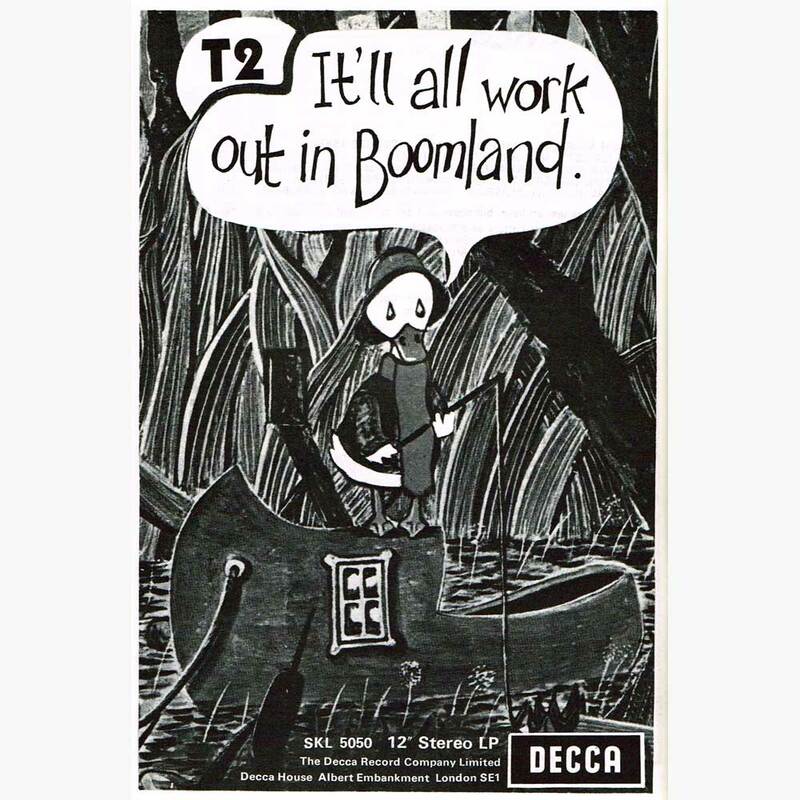 They only completed the one album, It’ll All Work Out In Boomland. It was released by Decca in 1970, but failed to make an impression. 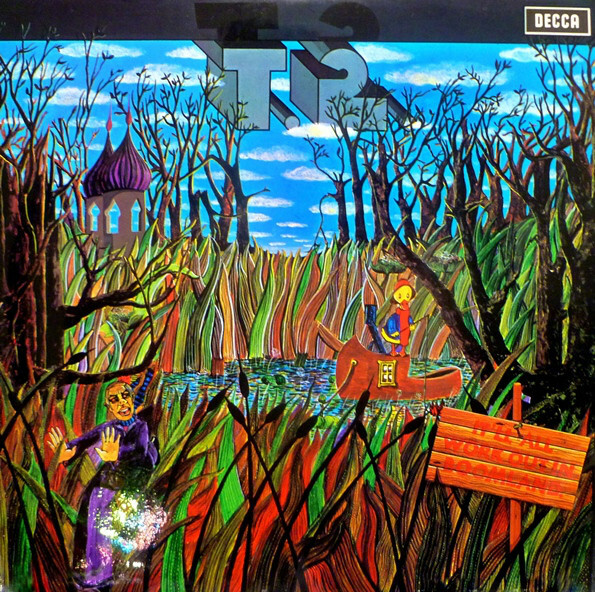 One of the album’s highlights was J.L.T, which shows another side to T2. It’s propelled along by Peter Dunton’s drums, while strings and horns play leading roles. Together, they play their port in a truly timeless track that features T2 at their innovative best. Sadly, T2 split-up while recording their sophomore album, which was later released as T2. 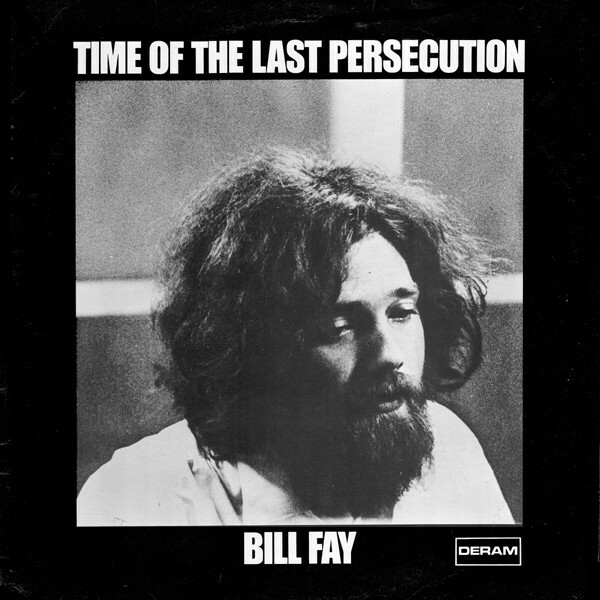 Bill Fey released his eponymous debut album in 1970. A year later, he returned with sophomore album Time Of The Last Persecution. This should’ve been the start of a long and successful career. Sadly, it wasn’t to be and after Time Of The Last Persecution turned his back on music. Music was the loser. A reminder of what music lost that day, was ‘Til The Christ Come Back a track from Time Of The Last Persecution. It’s a beautiful, emotive song that showcases a cerebral singer-songwriter. He wrote insightful, thought-provoking, spiritual and sometimes surreal lyrics that featured on his first two albums. Nowadays, they’re cult classics and a reminder of one of British music’s best kept secrets. The inimitable Peter Hammill wrote Refugees, which featured on Van Der Graaf Generator’s 1970 album The Least We Can Do Is Wave To Each. 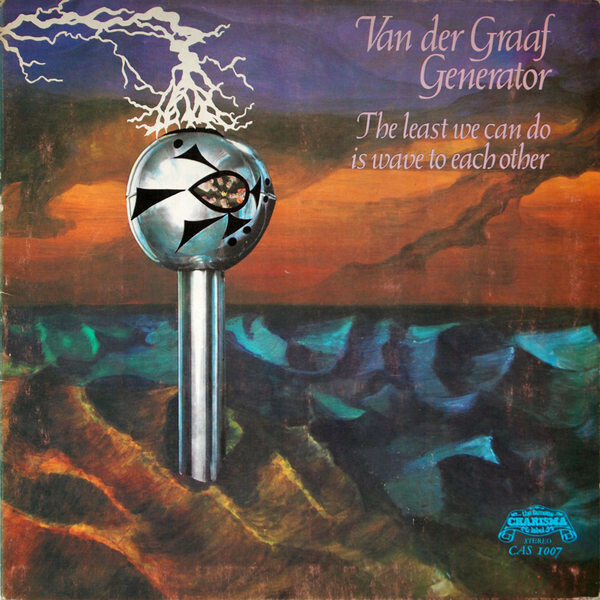 It’s a quintessentially English fusion of art rock, folk rock and progressive rock from the classic lineup of Van Der Graaf Generator. They deploy strings, woodwind and harmonies to create a poignant, pastoral and cinematic song with lyrics that are still relevant today. John Cale left The Velvet Underground after the release of their sophomore album White Light/White Heat in 1968. 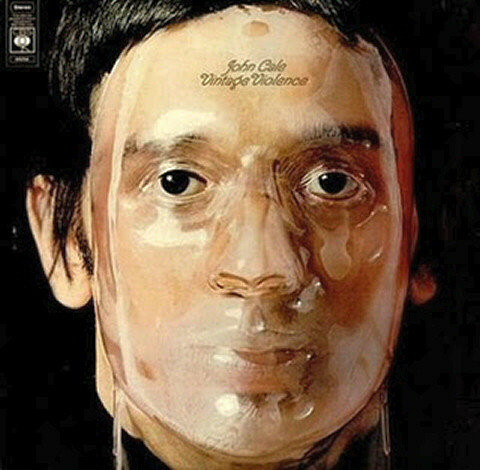 Two years later, in 1970, John Cale was about to release his debut solo album Vintage Violence on Columbia. The album had cost just $15,000 to record. When the album was released, the reviews were mostly positive. One of the highlights of Vintage Violence was the beautiful, string-drenched ballad, Big White Cloud. Just like the rest of Vintage Violence, it showed that for John Cale there was life after The Velvet Underground. Belle Gonzalez recorded Bottles for her 1972 debut album Belle. 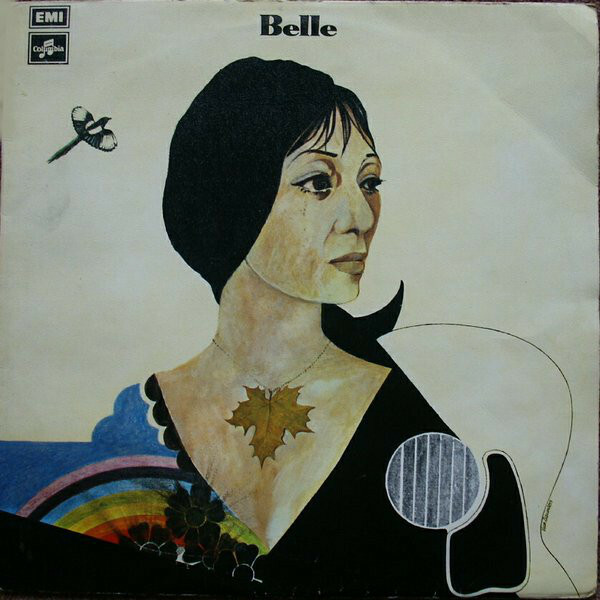 It was released on Columbia, and sadly, was the only album Belle Gonzalez released. That was a great shame, as she was a talented singer who could bring songs to life. Proof of that is Bottles, which is a folk song set against an orchestral arrangement. This proves hugely effective, and is the perfect accompaniment to Belle Gonzalez’s impassioned vocal. 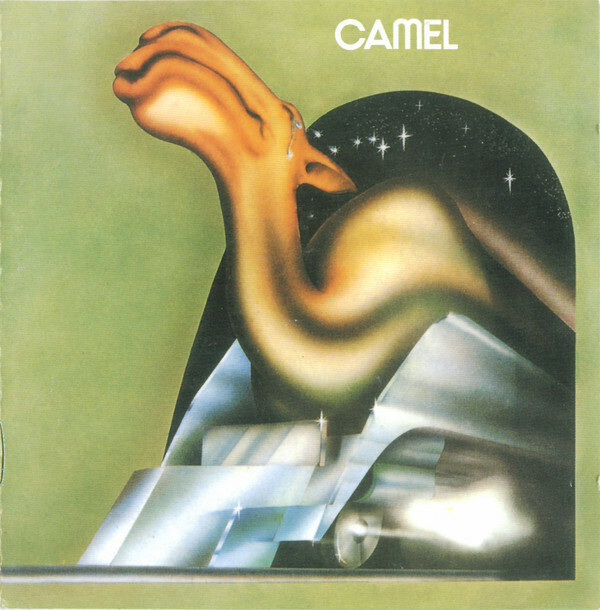 In 1973, progressive rockers Camel released their eponymous debut album. It was produced by Dave Williams, and was released on MCA Records. When Camel failed commercially, MCA Records didn’t take up the option to release Camel’s sophomore album. That day, one of the most successful British progressive bands slipped through MCA Records’ fingers. Never Let Go was the highlight of Camel, and a reminder of the heady days when progressive rock was King. Although Daevid Allen was born in Australia, he’s synonymous with the Canterbury Scene. He was a member of Soft Machine, before forming Gong in 1968. During his time with Gong, Daevid Allen also juggled a successful solo career. 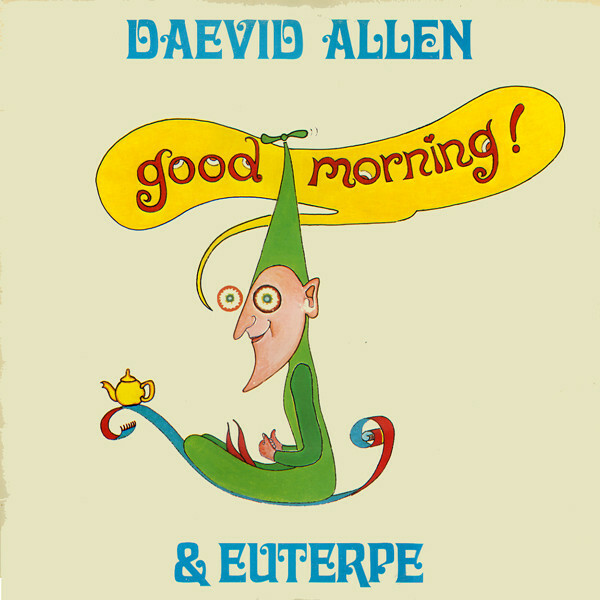 In 1976, Daevid Allen collaborated on an album withSpanish folk-progressive rockers Euterpe. The resultant album, Good Morning was released on Virgin in 1976. It featured the dreamy, lysergic sounding Wise Man In Your Heart, which is the highlight of Good Morning. Closing Bob Stanley and Pete Wiggs Present English Weather is the cinematic sounding Evening Shade. 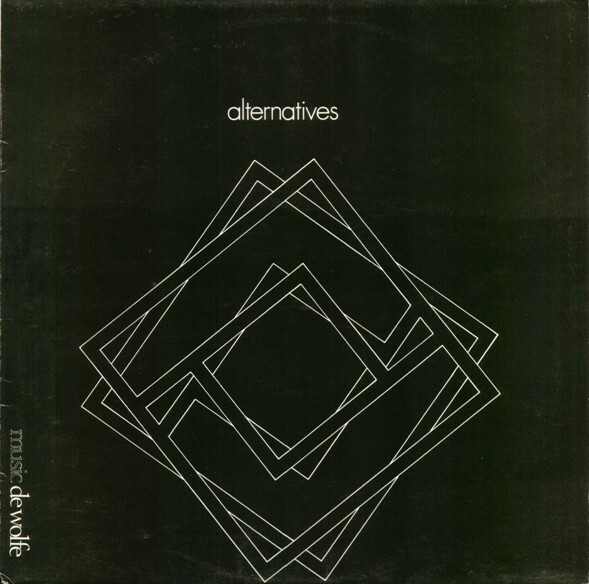 It was composed by Alan Parker and Alan Hawshaw and appeared on their 1971 album Alternatives. This was one of two albums of library music they released on the Music De Wolfe label during 1971. Evening Shade with its ruminative, wistful and cinematic sound is a reminder of the musical delights to be found within albums of library music. Just like Saint Etienne Presents Songs For The Carnegie Deli, Bob Stanley and Pete Wiggs Present English Weather is another captivating collection of eclectic music. From the moment the listener presses play, they’re transported back in time. Suddenly it’s the early seventies all over again. 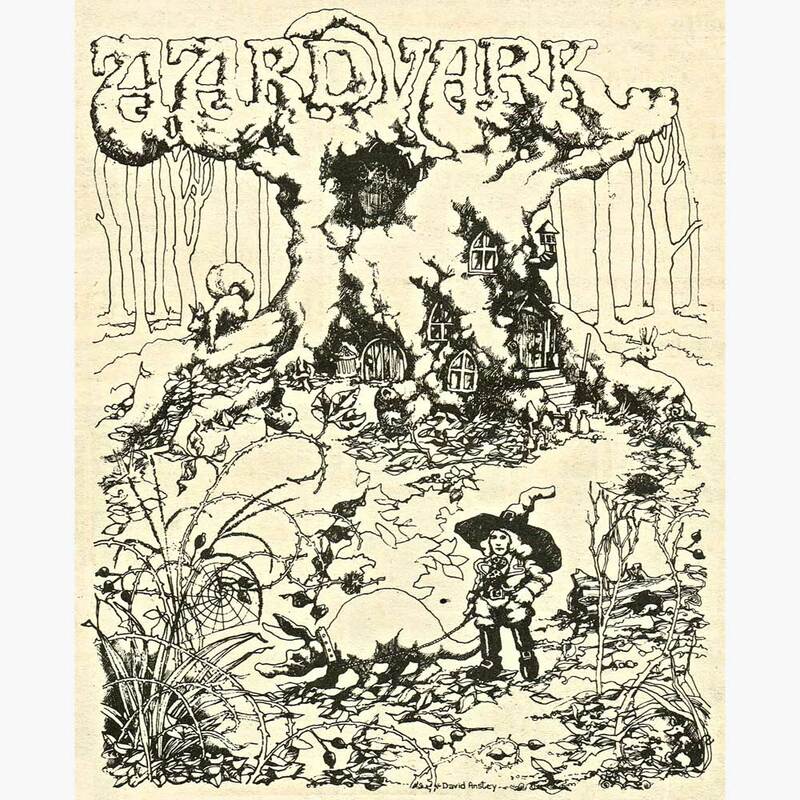 Suddenly, memories come flooding as music from the Canterbury Scene is followed by folk rock, library music, progressive rock, psychedelia and rock. Familiar faces and old friends are joined by new names and hidden gems. Always the emphasis is on quality on Bob Stanley and Pete Wiggs Present English Weather. The time that Bob Stanley spent in Newcastle’s record shops was time well spent. That was all part of his musical education. Forty years later, Bob Stanley and Pete Wiggs are happy to share some of the music they discovered back then on Bob Stanley and Pete Wiggs Present English Weather. It was released by Ace Records, and is Bob Stanley and Pete Wiggs’ finest hour. While Saint Etienne Presents Songs For The Carnegie Deli was one of the best compilations of 2016, it’s surpassed byBob Stanley and Pete Wiggs Present English Weather. It’s guaranteed to bring back memories for anyone who grew up in the early seventies. They will remember much of the music on Bob Stanley and Pete Wiggs Present English Weather, which documents what was a golden age for music. ← STONEGROUND-STONEGROUND AND STONEGROUND 3.